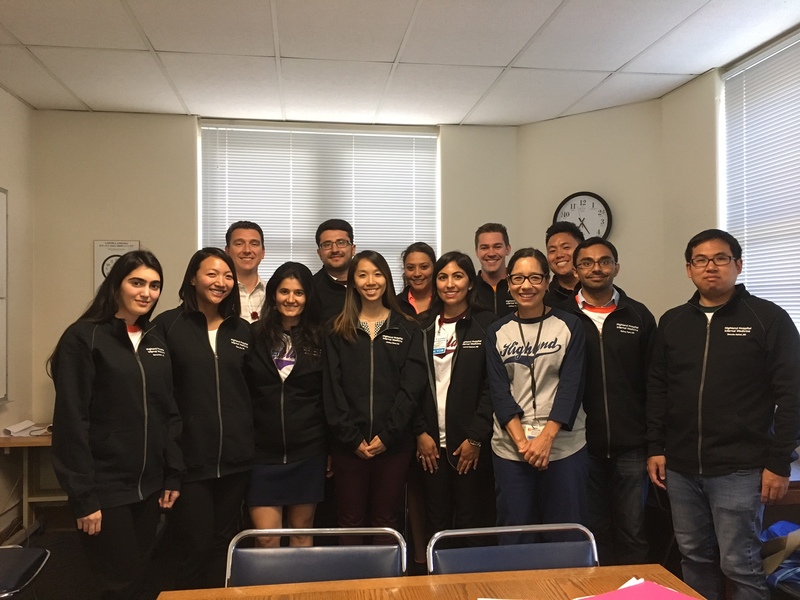 Welcome to the Preliminary Medicine Program at Highland Hospital a member of Alameda Health System! We are excited to have you consider Highland for your Internship year. Our Internal Medicine program has significant work and scheduling advantages compared to many preliminary medicine years (see below). Highland‘s environment is best described in AHS’s mission statement: Caring, Healing, Teaching, Serving All. I emphasize this aspect of our program, as our focus goes beyond a desire of simply ‘helping others’ to a level of understanding that requires maturity, patience, insight and humility needed to apply our mission. In addition to the the diversity the Bay Area provides, the community we serve offers a complex and challenging framework, rich with learning and practical experiences. We have an excellent house staff contract and a genuinely egalitarian atmosphere. Preliminary residents serving with us regularly report feeling appreciated and fulfilled. Finally, we want to provide you with the most straightforward information regarding your schedule to enable you to make informed decisions. Keep in mind there is some flexibility in our schedule. This includes two weeks of electives, and the option of adding EM and/or extra ICU weeks to accommodate future residency requirements, particularly in anesthesiology. Drip system: non-call admitting days reduce the number of overnight patients teams get on any day. Team caps are 17 patients. This supports the learning environment by ensuring that each intern is seldom responsible for more than 7 patients. In Gastroenterology, Pulmonary, Cardiology, Neurology, Infectious Disease, Hematology-Oncology and Nephrology. As a subspecialty intern: you will provide consults for inpatients and attend outpatient subspecialty clinics. In house overnight cross coverage for ward and ICU patients. Admitting duties are done by R-2 and R-3 residents. On Jeopardy weeks preliminary interns may be asked to cover both inpatient and outpatient duties. Otherwise Jeopardy weeks are assigned as subspecialty rotations or elective time. On behalf of our Internal Medicine Residency Program, we want to thank you for your interest in our program and congratulate you on the journey upon which you are embarking. If you have any further questions, please contact us.